In 2013, Scott Kuhn and Chris Hodgson decided to not only take a chance on Playhouse Square, they took three chances. 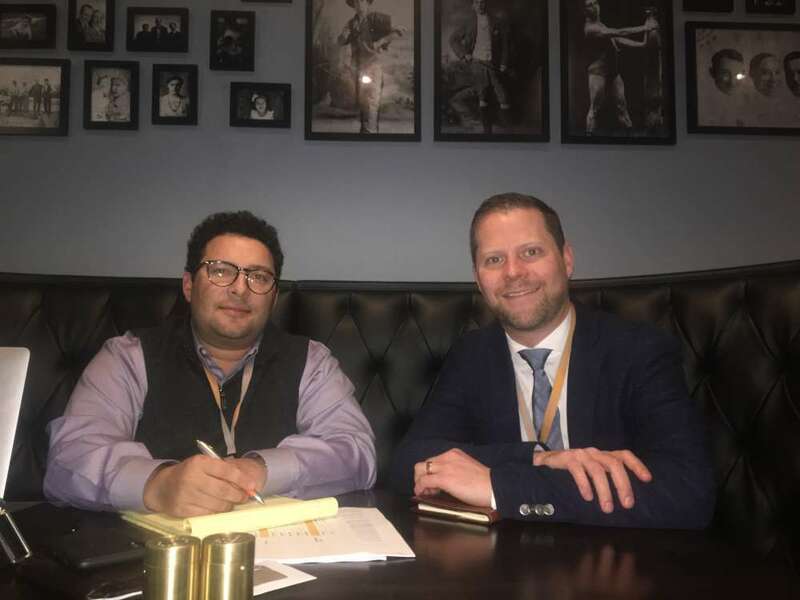 Kuhn, the founder of The Driftwood Group, which operates restaurants throughout Northeast Ohio, and his partner, chef Chris Hodgson, met with Playhouse Square officials to hear what they hoped to do with the district. Kuhn and Hodgson proceeded to open three restaurants that year in Playhouse Square: Cibreo Italian Kitchen, Bin 216 and Green Rooster Farms. During that time, Kuhn has seen activity increase in the district. The coming of The Lumen, a residential apartment tower schedule to open at Euclid Avenue and East 17th Street in 2020, will only add to the action. “Broadway is unbelievable (the national theater touring companies that come to Playhouse Square), they used to be three week runs instead of two, but there are still kind of dark moments in the district. Having people living, sleeping, dining here on a day-to-day basis will fill the gap,” Kuhn said. Hodgson feels The Lumen will make the restaurants in Playhouse Square more than just places to eat before a show. “People are done with dinner by 6:45 and heading to the show to catch it in time. To be able to have that many people living in the district, where they usually eat at 7:15, they are on different schedules, you’ll start to see more seats filled,” Hodgson said. 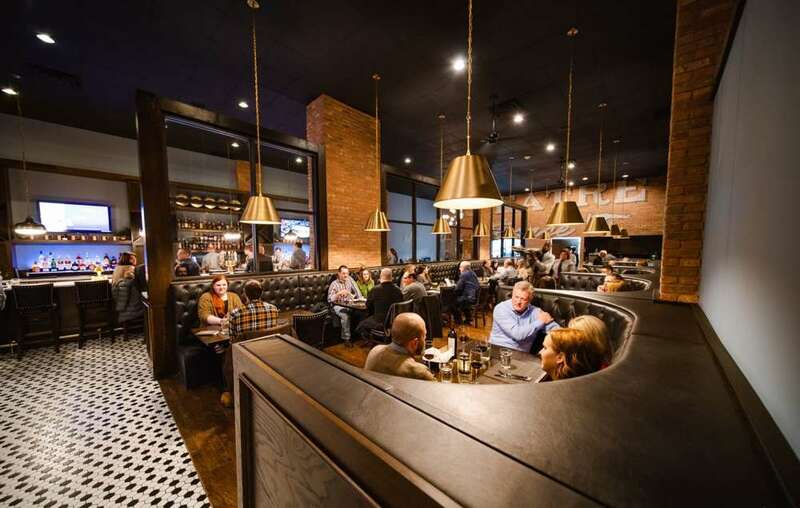 Kuhn and Hodgson added a fourth Playhouse Square restaurant this week with the opening of Republic Food and Drink for dinner on Monday. Lunch service begins February 18. The new venue takes over the space that was vacated when the venerable restaurant Otto Moser’s closed last fall. 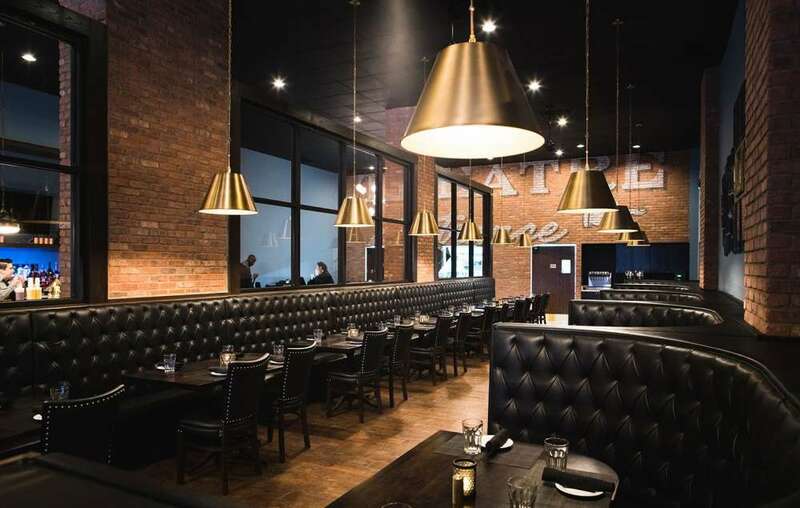 Kuhn understood the need to find a balance between acknowledging Otto Moser’s place in the memories of Cleveland diners, while still allowing Republic to establish its own identity. 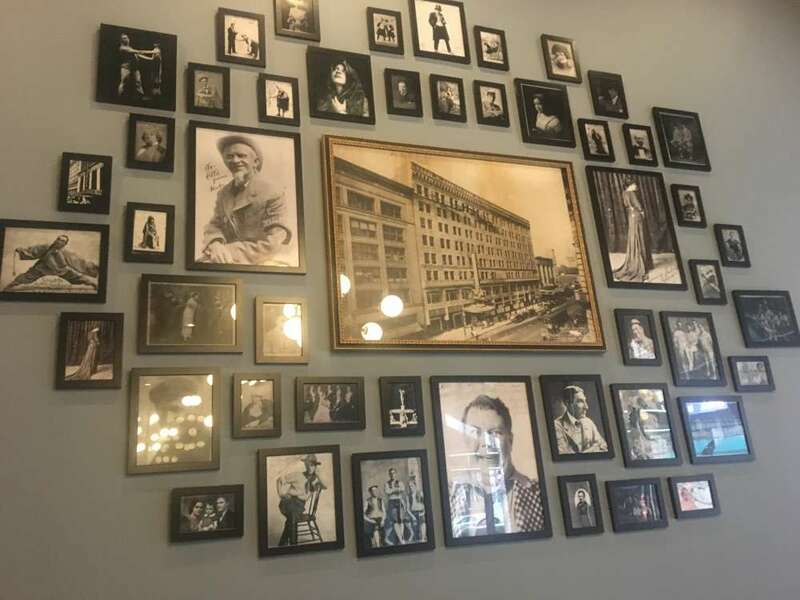 Understanding that most diners have a limited amount of time to eat, because they are heading to one of the Playhouse Square theaters for a show, played a major role in both the design of the Republic and its menu, which will emphasize classic American cuisine. “It’s built to be able to get you in and out. You’ll have good, hot familiar food. One of the biggest problems is that people are still getting confused by menus. Chefs put words on there that half of people don’t even understand. We need to get out of that mindset of let’s call it ‘crème fraiche,’ and do something fancy with it. Someone just wants sour cream with their baked potato, so let’s give them what they want,” Hodgson said. With four restaurants within a block of each other, they are not afraid of competing with themselves. “There will always be a little bit of attrition from one store to the next. But at the end of the day, when there are restaurants that have been there and you take them over, you are not creating new space, you are taking space that already exists with people in those seats, “ Kuhn said. Having a major presence in Playhouse Square has made Kuhn and Hodgson think differently about what they do. “We’ve become district people. From the moment someone gets out of their car and the valet greets them, to the moment the show closes, it’s an experience. If one piece of that experience is off, we’re all off. We’re all working in unison and continue to try to culture that, this is a start-to-finish kind of program,” Kuhn said.